In 2013 MINI UK and its parent company BMW Group will celebrate 100 years of car-making at the site of MINI Plant Oxford. The focus point for the celebrations will be 28 March, which is 100 years to the day when the first Bullnose Morris Oxford rolled off the line. As part of the commemorative exhibition at the Plant, MINI is keen to hear from any ex-employees and the families of ex-employees who would like to share photos and memories from the plant over the last 100 years. Since 1913 tens of thousands of people – 26,000 at the peak in the 1950s and 60s - have worked on the site building over 11 million cars under brands including Austin Healey, MG, Wolseley, Riley, Austin, Mini, Vanden Plas, Princess, Triumph, Rover, Honda, Sterling, the founding marque Morris and over two million MINIs since 2000. The Oxford plant has generated considerable wealth for the UK, as well as for many other countries around the world during its 100 years. 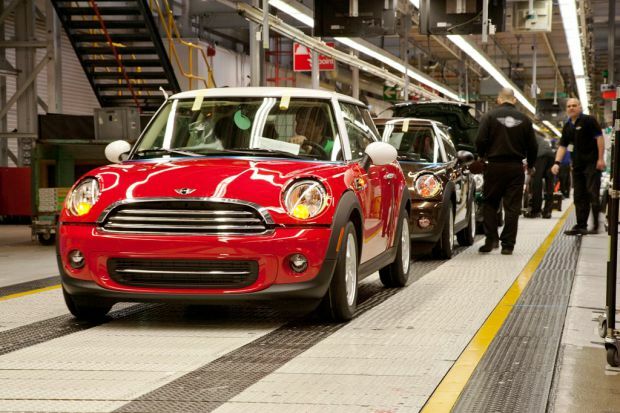 Today, Plant Oxford manufactures the MINI hatchback, Convertible, Clubman, Clubvan, Roadster and Coupe, 80% of which are exported to over 100 global markets. It is currently undergoing a major investment in preparation for the third generation of new MINIs.